Take Our Kids to Work Day is an annual career exploration event, held every November, where Grade 9 students across Canada spend the day in the life of a working professional. Here is 14-year-old Domenique getting a behind-the-scenes look at the operations of BC Place on Wednesday, November 14th. From the BC Lions and Vancouver Whitecaps FC locker rooms, to the BC Sports Hall of Fame Class of 2019 Announcement Day ceremony. 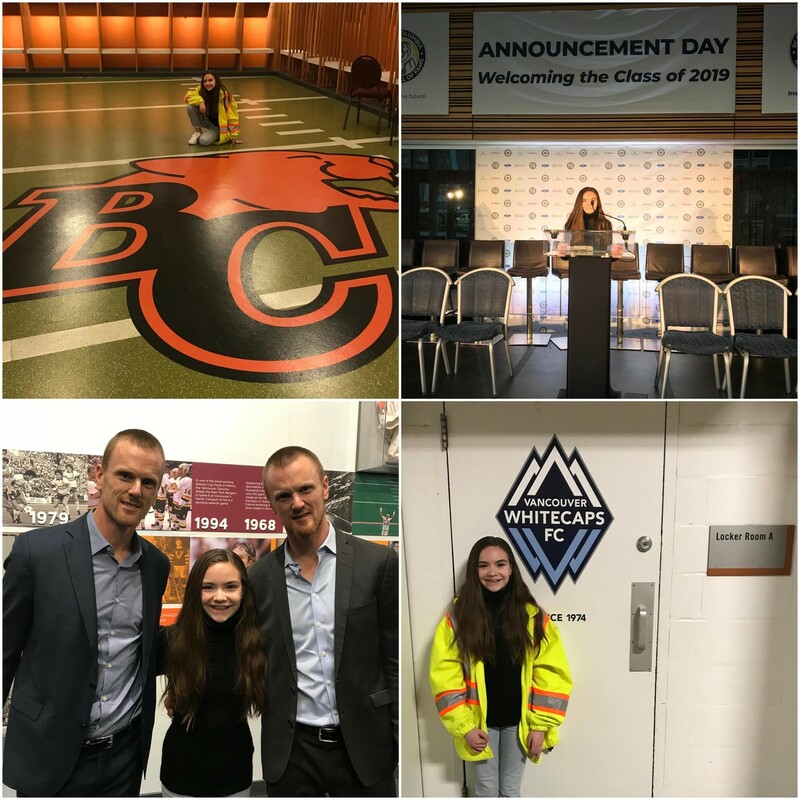 She even got to meet 2019 inductees Daniel and Henrik Sedin! Take Our Kids to Work Day offers young people a view of the work world, and gives them an understanding of its demands and opportunities. The initiative also demonstrates that education goes beyond the classroom and helps prepare younger generations for their future.